Community PrEP advocates from PrEPster and iwantPrEPnow welcomed today’s announcement by NHS England of the launch of the PrEP IMPACT trial. 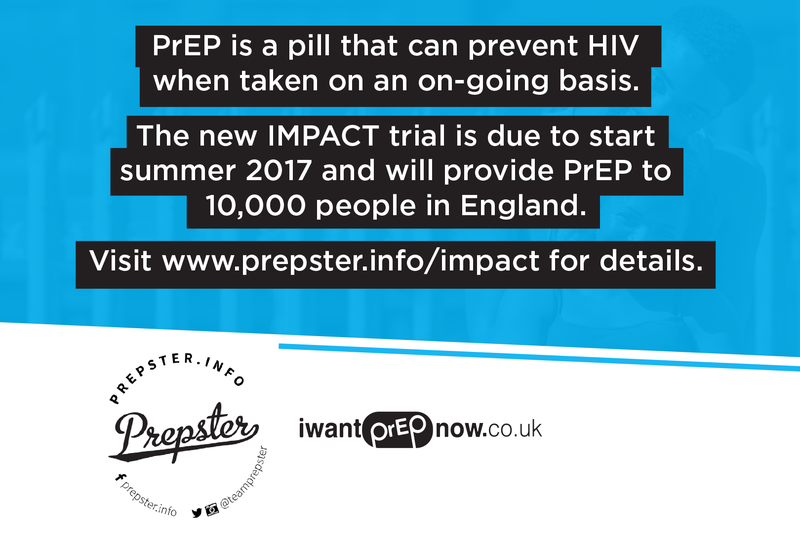 The IMPACT trial will provide PrEP to 10,000 people in England, with the first clinics in London, Brighton, Manchester, Liverpool and Sheffield expected to start enrolling participants into the trial next month. NHS England has announced that the drugs for the trial have been procured and ethics approval for the trial is expected within days. PrEP now available in Scotland!